Not only does she manage to take everything out of the toy bin, but she also manages to pull every book off the bookshelf’s. I don’t mind it so much. 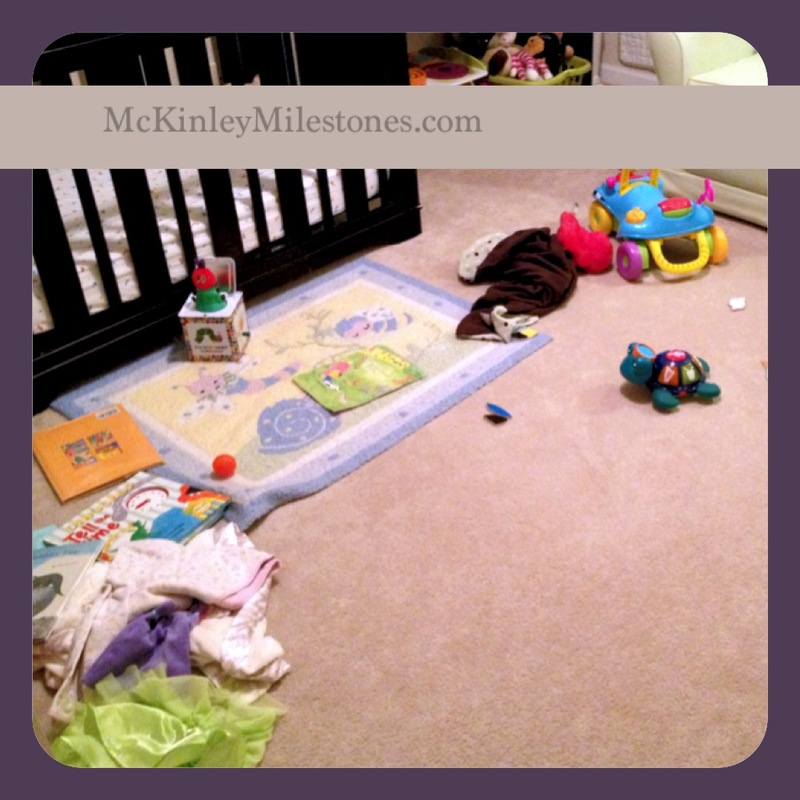 I knowingly let McKinley make gigantic messes. And, remember… I have strong O.C.D. tendencies. Why then? I can’t help it, she enjoys doing it. Of course I say “no” at appropriate times, like when she is playing with electrical chords. “Clean up, clean up, Everybody every where. Previous Post Wanna listen? First song I wrote.